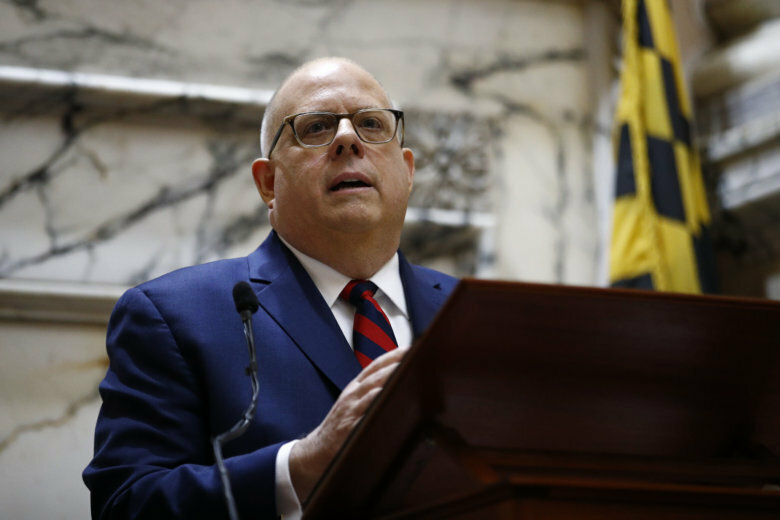 Maryland Governor Larry Hogan and former California Governor Arnold Schwarzenegger are teaming up to fight gerrymandering in Maryland's sixth congressional district. Maryland Governor Larry Hogan and former California Governor Arnold Schwarzenegger are teaming up for a fight. Not against Hollywood bad guys, but against gerrymandering. Hogan and Schwarzenegger, both Republicans, have filed a friend of the court brief with the U.S. Supreme Court in a case involving accusations of gerrymandering in Maryland’s sixth congressional district. The brief argues that gerrymandering leads to partisan extremes and disenfranchises moderate voters. It also says elections in gerrymandered districts are like a Harlem Globetrotters game, with results that are almost always predictable. The high court is scheduled to hear arguments in the case March 26. In January, Hogan formed a commission to come up with new maps of the sixth and eighth congressional districts to submit to the General Assembly. Draft maps were released earlier this month, and public comments are being accepted until March 26. A public meeting about the proposed new boundaries will be held Tuesday at the BlackRock Center for the Arts in Germantown. Schwarzenegger has led efforts against gerrymandering in numerous states.